Undergoing a full hip replacement surgery requires significant recovery time, followed by the hope of returning to a more active lifestyle. However, when an implant that is supposed to last 15 years begins deteriorating in just a couple of years after a surgery, this hope diminishes and another recovery road begins. Stryker has had a history of issues regarding its metal-on-metal hip implants, and the newest models seem to be more of the same for patients. The product liability lawyers at the Naumes Law Group assist people who have suffered complications due to Stryker hip implants with legal claims to try to make sure that their medical expenses and other associated financial hardships are covered. If you have received a hip implant that has caused you pain and other issues, you should contact our Boston Stryker lawyers to find out more about your options. Patients who have received a Stryker implant may want to be on the lookout for common symptoms associated with a malfunction, including hip, leg, or groin pain, joint swelling, changes in mobility, or a popping or grinding sound originating from the joint. Our Stryker attorneys can help Boston residents and others investigate a potential claim in these cases. In 2014, Stryker reached a reported $1 billion settlement with patients regarding its recalled models. 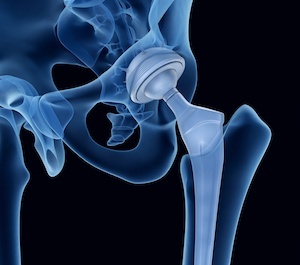 However, the manufacturer has continued to release other, potentially harmful metal-on-metal hip implants. Patients who have suffered injuries as a result of these implants may be entitled to damages. Products are subject to design defects when by their nature, they pose an inherent risk of harm to consumers. Many of the allegations against Stryker assert that metal-on-metal hip implants, because of their potential to deteriorate quickly and increase the risk of complications, are inherently dangerous to recipients, as opposed to ceramic or plastic alternatives. Patients who have received a defective implant may face prolonged pain and tissue damage, as well as the process of revision surgery. Forms of compensation available for these patients may include medical expenses, loss of income, and pain and suffering. Depending on when your hip implant surgery took place and which kind of implant was used, you may be entitled to damages. Consulting an experienced attorney who can help determine your eligibility and legal options is the first step in making sure that your rights are protected. If you have received a Stryker hip implant and need legal assistance following a related injury, the injury lawyers at the Naumes Law Group can help with your claim. Our Boston Stryker attorneys also represent victims in Medford, Taunton, Peabody, Braintree, Weymouth, Springfield, Worcester, Waltham, Watertown, Hyannis, Malden, Quincy, Pittsfield, and Plymouth, as well as other cities in Suffolk, Middlesex, Barnstable, Berkshire, Bristol, Essex, Franklin, Hampden, Hampshire, Norfolk, Plymouth, and Worcester Counties. You can contact our office toll-free at 844-826-8445 or locally at 618-227-8444, or contact us online to set up a free appointment.